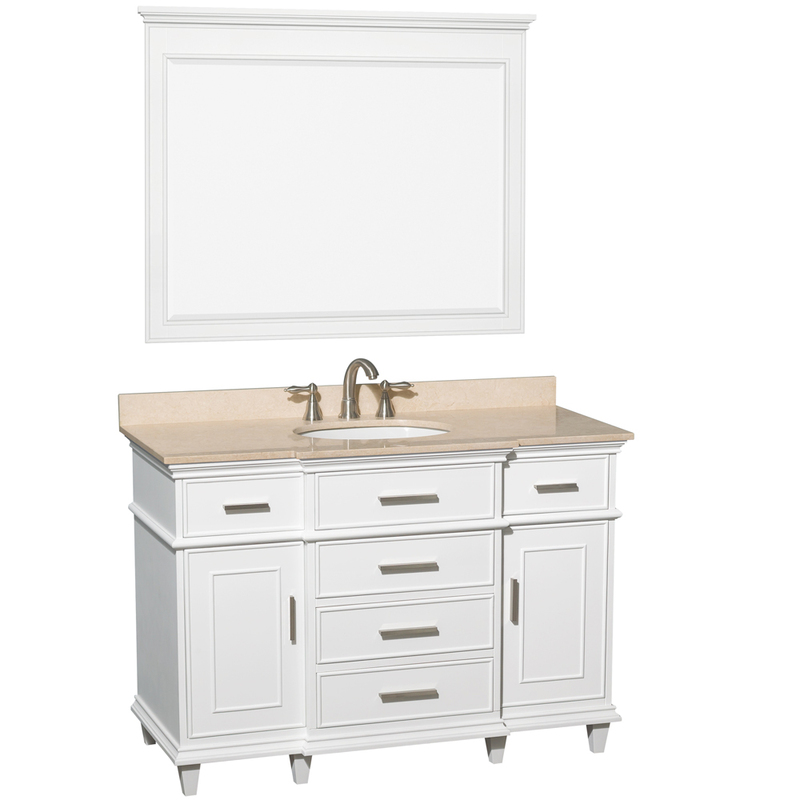 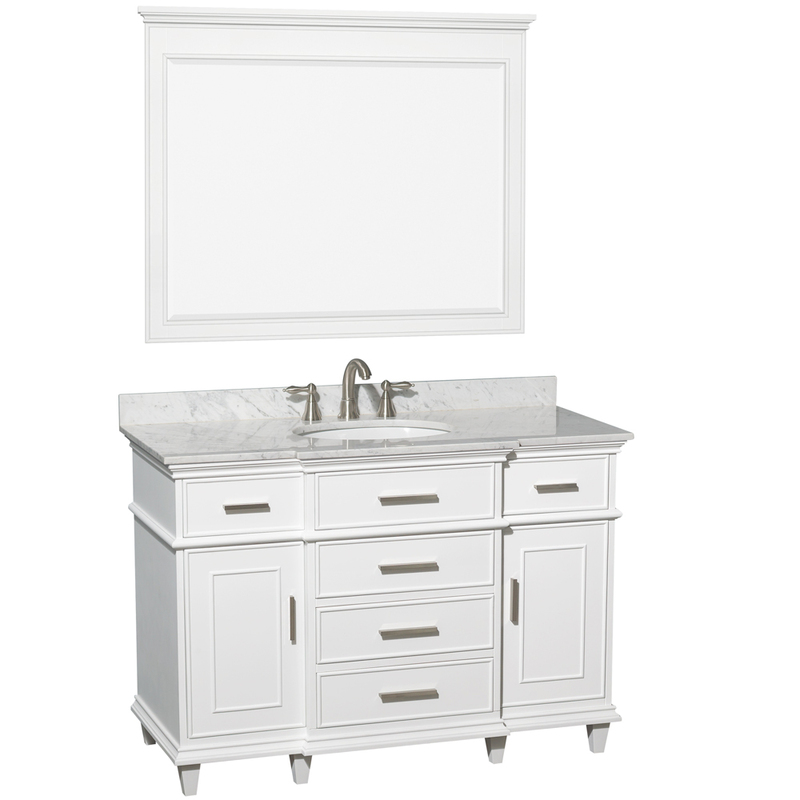 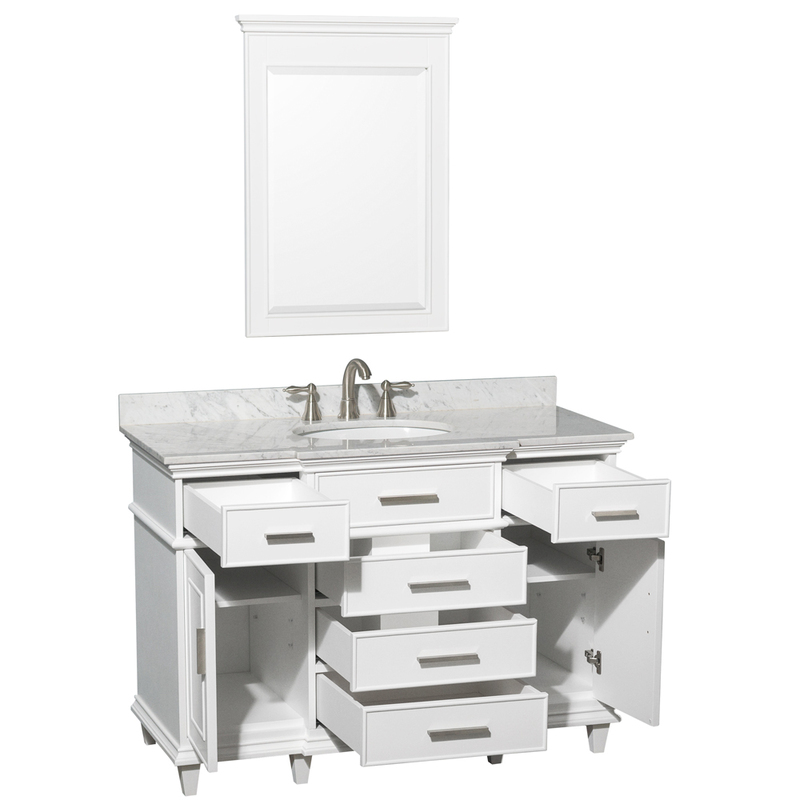 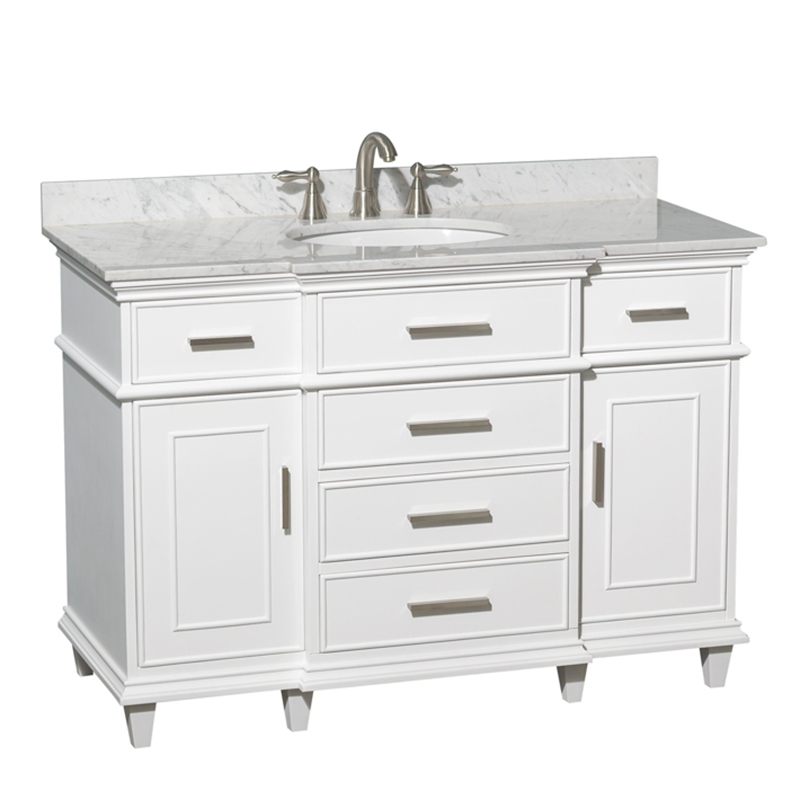 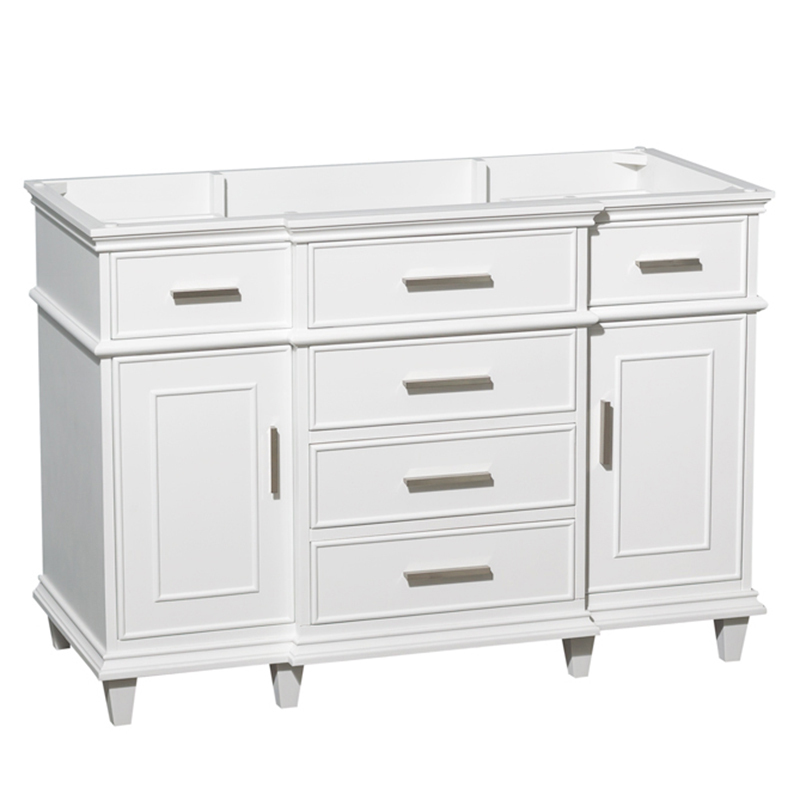 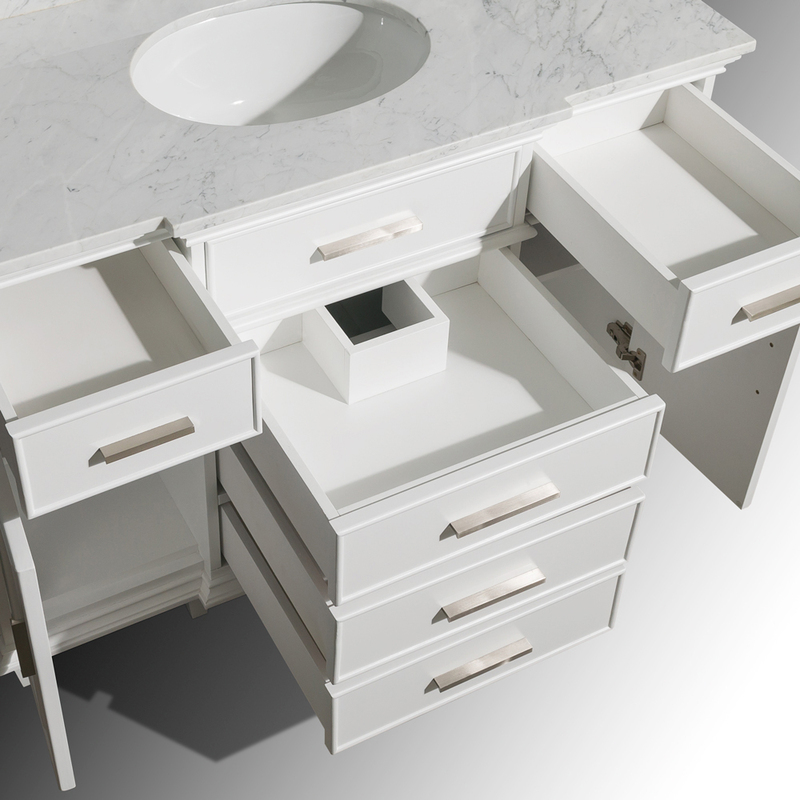 Featuring a bright White finished cabinet constructed from zero emissions solid birch, the ,b.48" Berkeley Single Bath Vanity gives you the choice of two counter top choices that make a great complement to the dark cabinet. 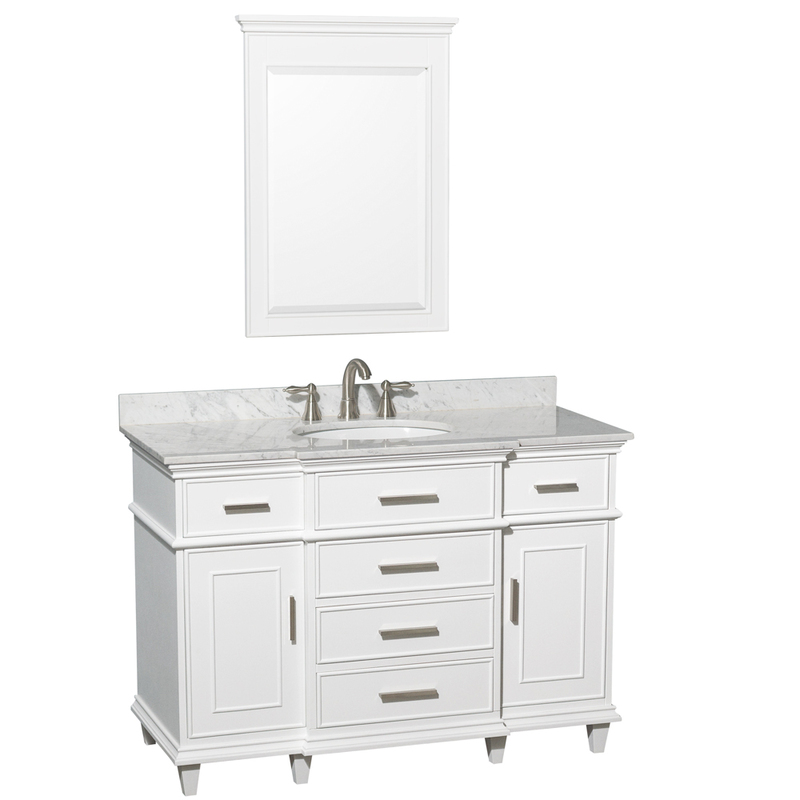 You'll love the spacious feel of its counter space and storage room, with two single-door cabinets and five spacious drawers. Add the matching mirror for a completed look. 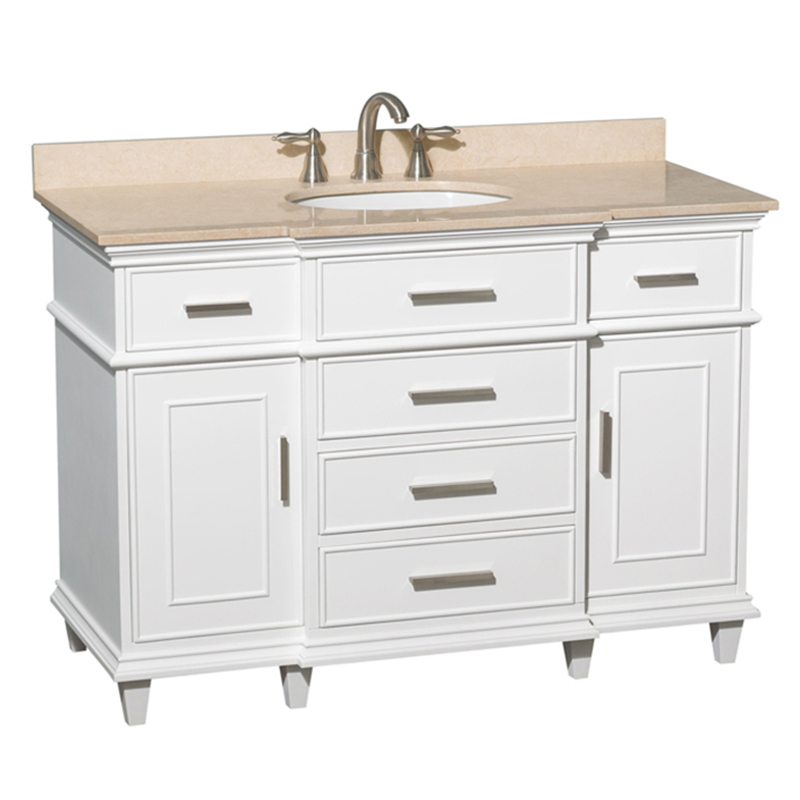 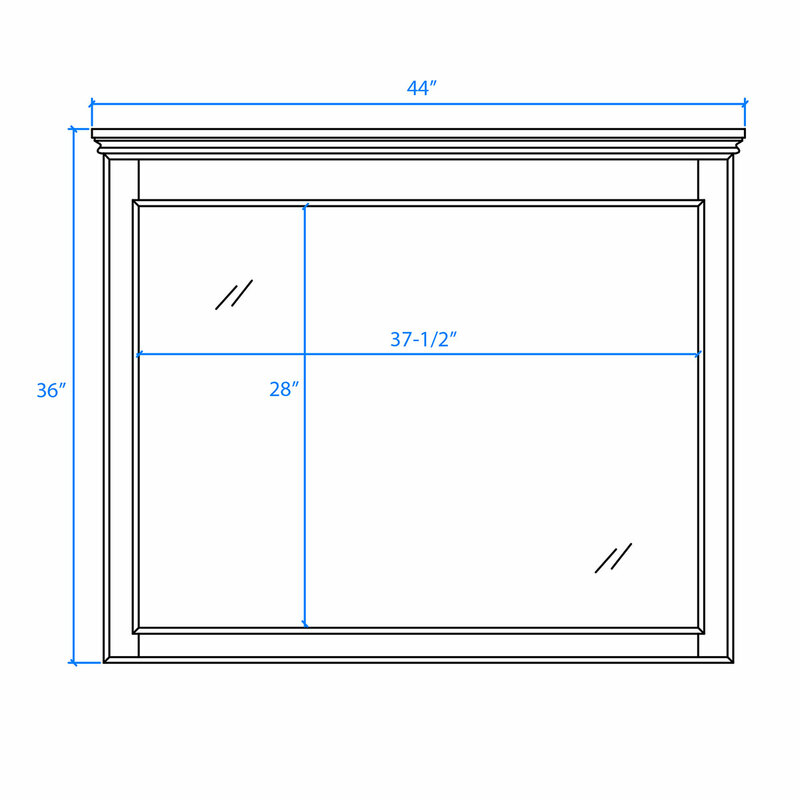 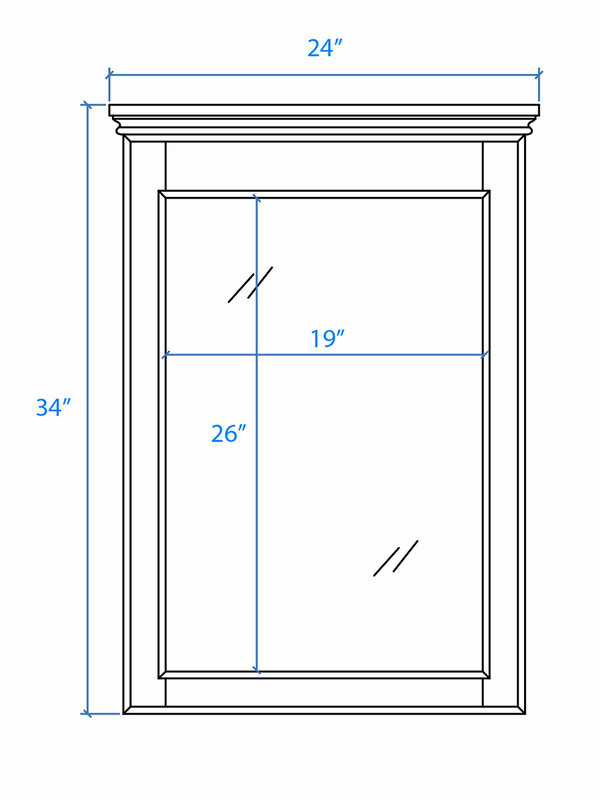 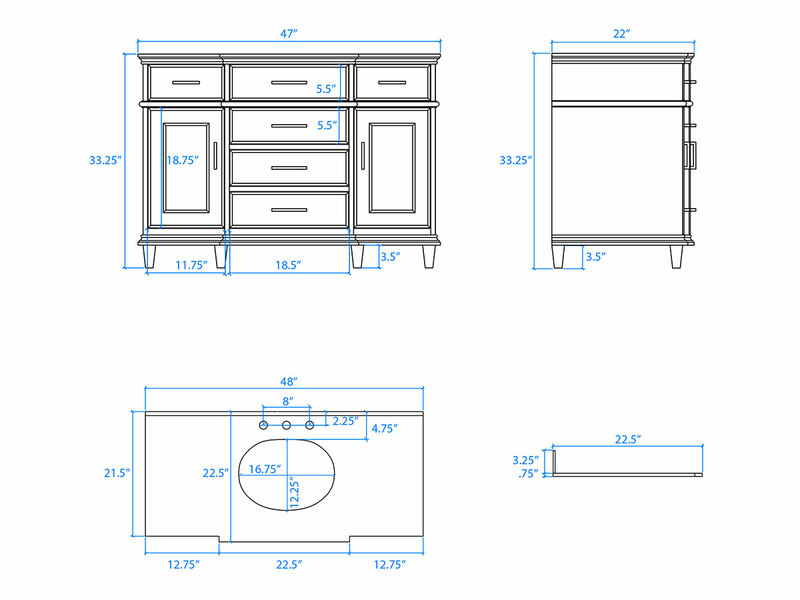 Don't miss out on a transitional beauty that will quickly become the focal point of your bathroom.